Hello Friends! 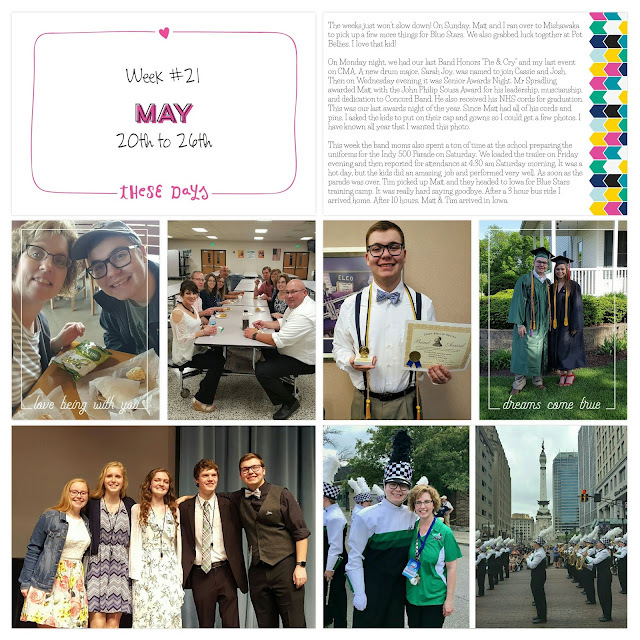 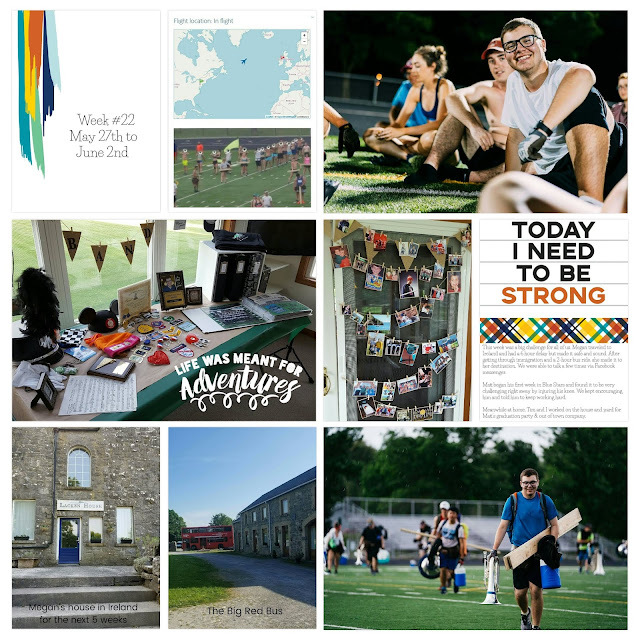 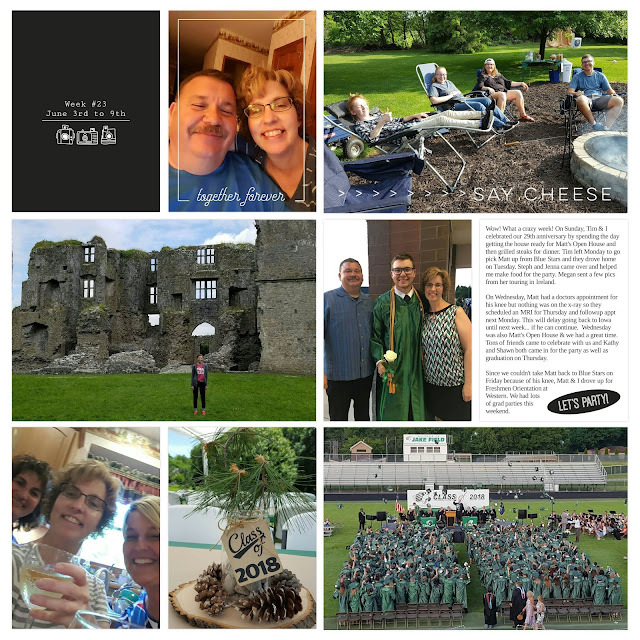 I've been absent for several weeks & when you have a peek at the photos below, I'm sure you'll understand why... senior year, 2 graduations, lots of school year-end activities! 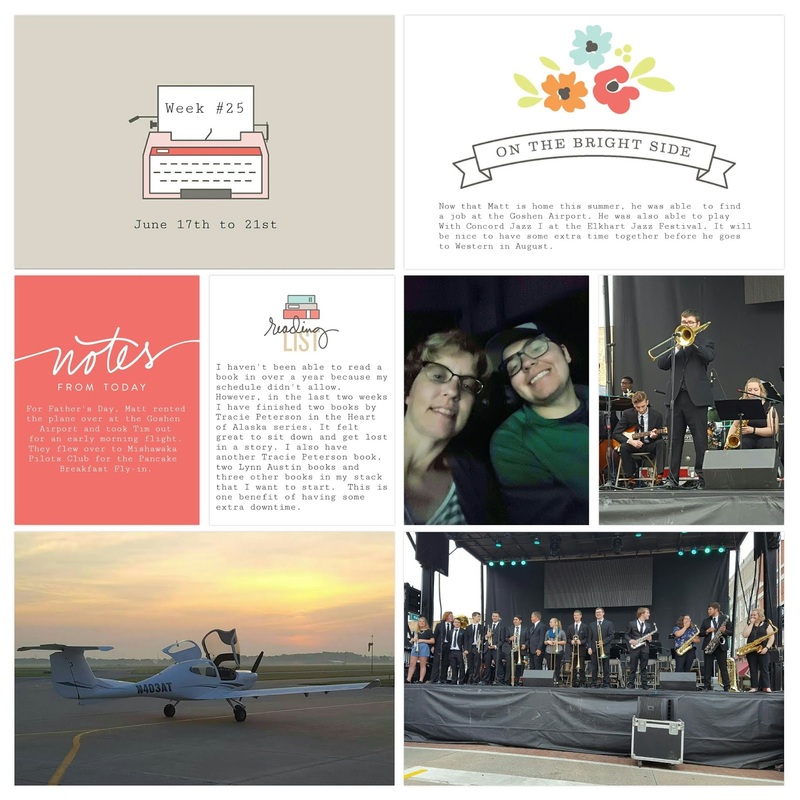 Thank goodness for the Project Life App so I can keep up with my one page per week! I used several of the Project 12 monthly kits & overlays (mostly May & June) for the pages below. Now that graduation, band and the parties are finished, I'm really going to try and get some physical pages done as well. 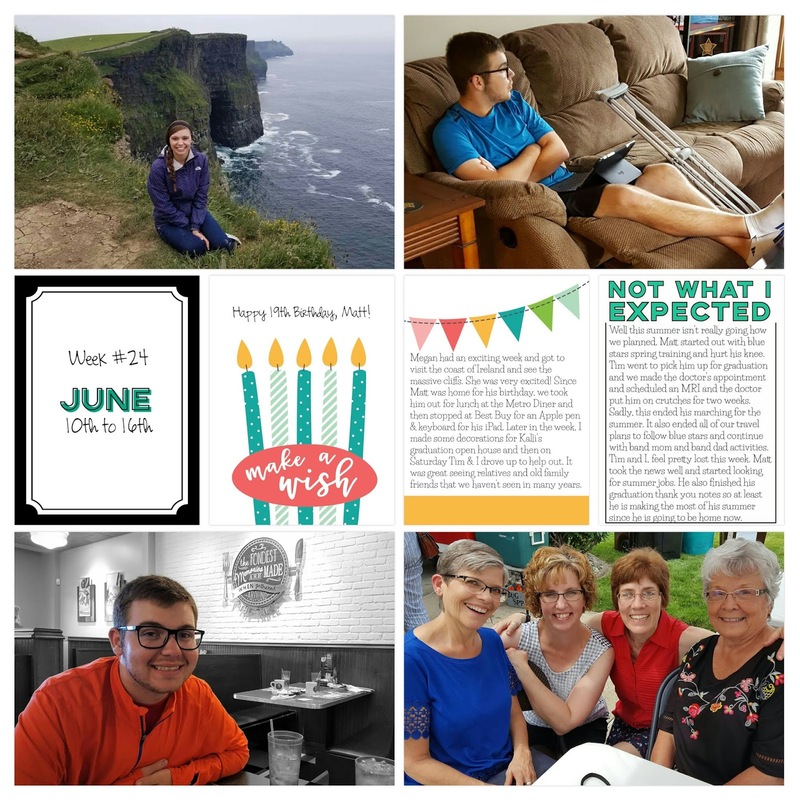 Time to start a new project!